Whether Nicola’s speech today postpones Indyref2, and by how much, is the cause of much fevered speculation tonight across both social and mainstream media. So the challenge for all of us who do believe that Scotland should be independent is to get on with the hard work of making and winning that case – on all of its merits – and in a way that is relevant to the changes, challenges and opportunities we face now and in the years ahead. That is what my party will do. This acknowledges a very important truth. The SNP has not campaigned for Independence since September 2014. I have never heard a senior member of the SNP attempt to argue coherently and at any length why Scotland should be independent, since the 2014 referendum campaign. The SNP has lost its focus on Independence, and become obsessed with gaining political position within the UK devolution settlement. If Nicola really means it, the refocusing of the SNP on Independence would be the most important thing in today’s speech. But does she mean it? How is the SNP going to connect with the “Wider yes movement?” What is the mechanism by which this will operate? Brexit is a disaster. Just two weeks ago, the EU Commission brought new rules into force ending telephone roaming charges within the EU. From now on you will pay anywhere within the EU just the price you pay for using your phone at home. Until of course the UK “takes back control” of the right for you to pay £1.50 a minute instead. Today the EU Commission took on Google with a massive 2.4 billion Euro fine and an order to change the abusive practices by which it prioritises answers to search results to its own commercial advantage. Once the UK “takes back control”, we can be sure that will be the end of major US corporations being challenged on our behalf. You will be able in the UK to enjoy Google manipulating search results however it may wish. Those are just two of thousands of examples, and which happen to have arisen this last couple of weeks, which show how stupid Brexit is. Not to mention the petty bureaucratic attack impositions on EU residents here. As it becomes more and more obvious how stupid Brexit is, as the UK economy heads towards a Brexit induced depression, and as Tory cuts bite harder and harder into communities, the case for Scottish Independence will become stronger, and eventually irresistible. We have seen how very fast political sentiment changes in the modern age. Provided there is wholehearted and unequivocal Independence campaigning, the political mood will swing strongly behind Independence at some point in the next two years, and Sturgeon’s speech today leaves room to bring Indyref2 forward when that happens. The ground may be fertile, but if you don’t sow the seed you will not reap. To win Independence all we have to do is campaign for it. Some of us have never stopped doing that, and the groundswell of support is growing across Scotland. The SNP leadership need to get on board now or they will be running to catch up. There is no defensive purpose to an aircraft carrier. Its entire purpose is to move aircraft to a position where they can attack other countries. As soon as they are equipped with attack aircraft, these carriers will spend most of their time around the Middle East, including at the UK’s brand new naval base in the vicious despotism of Bahrain. Having spent £7 billion on these behemoths, politicians will seek to enhance their prestige and demonstrate that they control a nation which is a “major power”, by using them. The very fact of their existence will make bombing attacks such as those we saw on Syria, Libya and Iraq more likely. That further twist in the cycle of violence will lead to more terrorist attacks in the UK. There is no sense in which this aircraft carrier is anything to do with defending the United Kingdom. It is a device to attack foreign countries. The result is it makes us a lot less safe at home. 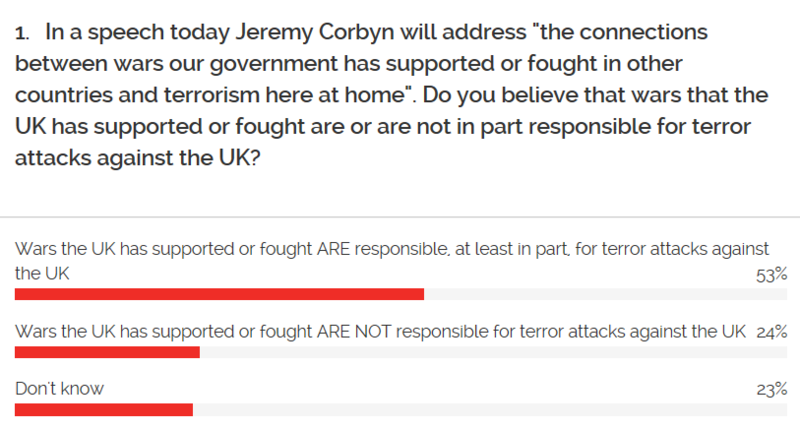 When they think about it, people understand that, as YouGov demonstrated during the recent election campaign. The politicians will be trying to whip up feelings of jingoism and national pride around this huge hunk of floating hubris, to stop us thinking about that. 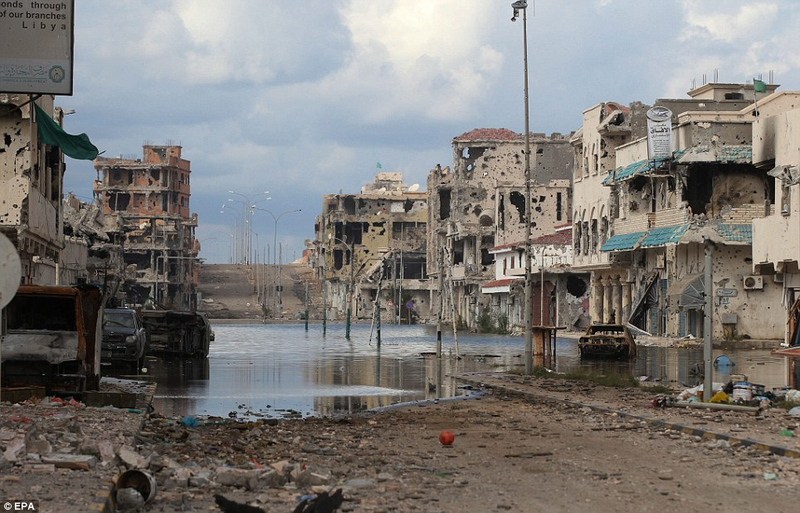 There is no money for our schools and hospitals, but unlimited sums for the armaments industry. The United Kingdom is not just a dysfunctional state, it is a rogue state and a danger to the peace of the world. Today the government publishes to parliament its proposals on the residence rights of EU citizens in the UK post-Brexit. The EU has already , on 12 June, tabled the offer of full continuation of current residence rights to UK citizens in the EU after Brexit. This includes the right for British expats not only to remain in the EU country of current residence, but the right to continue to move residence around the EU. By contrast May’s offer, which was amplified by David Davis with Marr yesterday, is peculiarly restricted. From a cut off date to be announced, EU citizens resident in the UK will be able to stay here, and after five years residence will qualify for a right of settlement. What is the purpose of this mealy mouthed formulation, as opposed to matching the EU by immediately giving EU residents living here the right of abode? In effect, for the vast majority, it will mean precisely the same thing. EU citizens resident here will in effect be able to remain permanently if they wish. But they will lose the entitlement if they move around. So a Polish man living here who, at some point in the next few years, has to return to Poland for a few months to tend to his sick mother, will lose his right abode in the UK. A French academic at a British university who leaves on sabbatical for a year’s teaching at Harvard will lose his right of abode in the UK. A Dutch employee of Shell posted out to Malaysia for a stint will lose his right of abode in the UK. Anybody who takes too extended a holiday abroad will lose their right of abode in the UK. What on earth is the point of this? The very large majority of EU citizens resident here will be able to qualify, and the small percentage being disqualified by moving abroad during the qualification period are likely to include the most economically active. The numbers penalised will be too small to have any substantial immigration impact. There is no result but pointless cruelty to a few. Support for Brexit, and a massive percentage of the Tory vote, is motivated at base by a hatred of immigrants. May panders to these racists by inflicting otherwise pointless nastiness on a statistically insignificant number of foreigners, to disguise the fact that the Tories are accepting the reality; it is an economic necessity for the UK that EU citizens contributing massively to GDP can stay. The Tories cannot stomach the hated language the EU employs of “rights” of citizens. So the government rather adopts the language of immigration regulation, and qualifying criteria, where nobody has any “right” to anything. Finally the Tories have to face the fact that a formal international agreement on reciprocal rights of abode between the EU and the UK, is not just a matter of domestic British jurisdiction. The international agreement will require an international judicial mechanism to oversee its enforcement. The xenophobic detestation of the – heavily British influenced – European Court of Justice means that the Tories will not accept the obvious body. David Davis conceded yesterday some international arbitration mechanism would be required, and seemed to postulate a new international tribunal including British judges. Exactly like the current ECJ before the UK leaves, in fact. So that’s the Tories for you. Pointless new international organisations, pointless immigration bureaucracy, and pointless nastiness to foreigners to keep their knuckle-dragging tendency happy. I am saddened by the death of my old friend and mentor, and predecessor as Rector of Dundee University, Gordon Wilson. It is nigh on 40 years ago that he converted me to the cause of Scottish Independence (though not then to the SNP), much aided by Edith’s magnificent potted Arbroath smokie. To this day I have never enjoyed a food more. The last time I spoke with him he was criticising a passage from Sikunder Burnes as insufficiently precise in its expression. I think every conversation I ever had with him contained a caution of some form or another. He was very – lawyerly. But those who knew only his public persona did not realise how much fun he was in private. A permanent twinkle in his eye, a dry wit, and the ability to find the exact word about someone to be scathingly funny without being unfair. Some of his best stories related to running the pirate Radio Free Scotland station in the 60’s, moving the equipment from tenement to tenement in Edinburgh as detection drew near, and occasionally getting tip-offs from the odd secret nationalist in the police force. Radio transmission required bulky units in those days, and the techniques developed for strapping transmitters under coats were deployed to good effect when they liberated the stone of Scone from Westminster Abbey. I have written before that if I could have one evening of my life again, it might well be the dinner in Gordon and Edith’s house in Broughty Ferry with all those involved in that escapade. Gordon took a religious turn in late life and I was saddened to see his comparatively recent stance against gay marriage. Certainly, to me as a student he was one of the most socially liberal of an older generation I had ever met, and he treated members of the gay student community exactly as he treated anyone else, at a time (and place) when that was not something you took for granted. 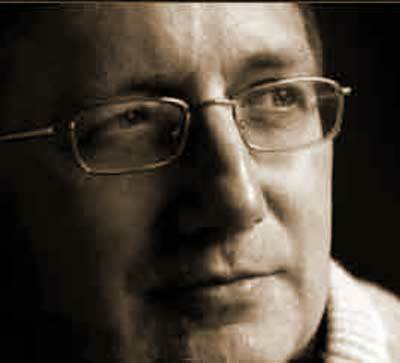 His commitment to Scottish Independence was absolute, on grounds of national self-determination. He was concerned that a central belt, socialist oriented nationalism would alienate the traditional supporters of the North East, and this actuated the bitter disputes in the party while he was leader. Sadly some of the bitterness of this lingered, and combined with his latter-day socially conservative views, the result was he was not given the personal respect by members of the greatly expanded SNP which he deserved. At a party conference in Perth a couple of years ago I was really saddened to join him for a while as he cut a rather forlorn and unacknowledged figure wandering in the fringes. This was a sorry return for a lifetime completely dedicated to the cause. He stood reference for me when I applied to be a SNP parliamentary candidate, and wryly remarked to me after my rejection that if it were anyone else, he would have fretted that it was his name that had caused the veto from the leadership, but in my case he did not have to worry! I agreed with Gordon that the 2014 referendum campaign lacked an emotional charge from the leadership to counter the powerful Gordon Brown led unionist media onslaught of the closing week, and we should be less shy of rousing what he called cultural nationalism. I still think that is the case and that it is not incompatible with civic nationalism sometimes to stir the blood about our culture and our history. I attended Gordon’s installation as Rector of the University of Dundee and I was delighted thirty years later that he attended mine. Edith and he danced at my first wedding. I shall look to pay my respects at his funeral to a great Scotsman, who kept the passion for Independence burning at some of its most difficult moments, and who was an integral part of its first big parliamentary breakthrough. The terrorist attack on worshippers from Finsbury Park Mosque has led to a welcome, but I fear temporary, distancing from Islamophobia of its most ardent exponents. That is the background to this quite extraordinary leading article in today’s Daily Mail. The horrible killing at Finsbury Park has given us a few weeks’ pause. Next month, the media will be back to following an agenda on issues affecting the Muslim community which is dictated by the right wing shills of the Quilliam Foundation, Henry Jackson Society, Migration Watch and UKIP. Today Julian reaches precisely five years of incarceration in the Ecuadorean Embassy and I am on the train down to London for events to mark the anniversary. Given that two days ago I couldn’t make it to my balcony, I feel quite chuffed with my powers of recovery. Yesterday I wrote that Corbyn’s advance has removed the “unelectable policies” excuse from New Labour and they have now to decide whether they are actually socialist or have adopted neo-liberalism out of belief. Precisely the same faux-left now face precisely the same challenge over Julian Assange and WikiLeaks. The “sexual allegations” never stood up to five minutes’ serious analysis, but they served their purpose brilliantly for some years. They enabled the “left” of the political establishment completely to evade the question of whether they supported whistleblowers on war crimes and corruption, or whether they supported official secrecy and the spiralling authoritarianism that defends the neo-liberals. There is now only one active question with regard to Julian Assange. Do you think he should be extradited to the United States to face espionage charges and life imprisonment for publishing the Chelsea Manning Iraq war crime revelations, and for assisting Edward Snowden to escape? Because that is now the only legal jeopardy he faces. All the faux-left who dodged that question now have to answer it. Assange is wanted by the Metropolitan Police for what they themselves have called the “minor charge” of missing a bail appointment. It is indeed a minor charge, normally dealt with by a fine, particularly as the extradition request relating to the bail order is no longer in force. Assange’s defence is that he did not skip bail to run away, but to seek an alternative legal remedy – the political asylum process. That this latter has priority is proven by the fact that there are numerous people granted asylum in the UK who face “criminal” charges in their home country. Fear of persecution – often by unjust prosecution – is of course the basis of asylum. But even ignoring this solid defence, there are many thousand people in the UK today who have missed bail. Julian Assange is the only one of those thousands with a permanent roster of plain clothes detectives keeping watch 24 hours a day. Why, when there are no longer any allegations for him to face? There is no open and honest logic to it. The answer of course is that Theresa May and Amber Rudd have plans firmly in place for Assange to be arrested and incarcerated, while extradition to the United States is quickly arranged. That is why a man wanted on nothing but a “minor charge” has more police resources devoted to him than any murderer. Again I ask – which side are you on? The UK currently has a Prime Minister who is held in widespread contempt by the ordinary public. It follows that the power of the mainstream media to dictate public opinion has been broken. The broadcast media reached new levels of election campaign bias, and the print media was fanatical, during the election campaign in promoting May. But the Tories nonetheless lost their majority. The press is trying to cover up its loss of power by switching towards the anti-May camp, but it is running hopelessly behind. We have passed a key tipping point where the cloud power of social media is now more important than mainstream media in shaping public opinion. 8) Unquestioning support for Britain’s retention of Imperial possessions and for military interventions abroad. There are more. Every single one of these were taken as absolutely fundamental to “accepted” political thought. Anybody questioning any of these was regarded as at best an amusing eccentric, at worst a dangerous fanatic. Portrayal of Corbyn was sometimes the former, during the election campaign overwhelmingly the latter. It cannot be said too loudly or too often that New Labour subscribed absolutely and without question to 100% of the above political orthodoxy. It is what the large majority of Labour MPs have spent their lives believing. It was the SNP who led the way in showing that attacking this “consensus” did not make you unelectable, and the SNP smashed New Labour in Scotland from the left. Precisely two years ago I wrote a post on why left wing politics do not make you unelectable, which was read by hundreds of thousands. The terrible tragedy at Grenfell tower has reinforced understanding that benign state regulation is an essential factor in protecting the most vulnerable people in society. It adds to a national mood which was already swinging towards more economic regulation and a bigger role for the state. My last post I hope was nuanced in explaining the situation at Grenfell Tower. Nothing can bring back those who so needlessly lost their lives. But I do hope it may lead to a period of greater social housing provision by councils, working with direct labour forces and sweeping away the intermediary bodies which bedevil provision throughout the public sector. I am not going to worry too much about the Tories at the moment as they appear to be plummeting to earth with no chance of medium term recovery. But where does Labour stand? The most important question is whether the Blairites are going to abandon their belief in the neo-liberal consensus and actually support the policies in the Labour Party manifesto. A week ago Peter Mandelson, of all people, gave a television interview in which he said he had no moral problem with Corbyn’s policies, he had merely thought them unelectable. So the question arises: what do these people really believe in? Some of them really are right wingers and find left wing policies unbearable. I believe that accounts for fifty to sixty of the Parliamentary Labour Party. About the same number are genuine left wingers. But the vast majority of the Blairite remnant are like Blair himself – morally pliable. If getting on board with the Corbyn programme looks good for their money-making prospects, they will do it. They are practising their new left wing vocabulary right now before their mirrors. Corbyn’s hand is much strengthened, but he still has a major task to strengthen his grip on the party. Compulsory deselection is the obvious way forward but may prove difficult to force through. However pending very extensive constituency boundary changes may give the leverage required. To date, Corbyn has suffered from an inability to influence local constituency labour parties, where young activists are difficult to turn out for procedural meetings and old hacks manipulate arcane procedures. In addition, Labour’s entrenched full time staff is viciously anti-Corbyn, none more so than General Secretary Ian McNicol. The truth is that before the election Corbyn was not winning in the institutional battle within the Labour Party. He needs to exploit his current strength now ruthlessly in internal battles. In Scotland, a dreadful and unpopular Tory government dependent on the DUP, and a lurch towards a disastrous Brexit which Scotland does not want, should provide a massive boost to the Independence movement. But the SNP is failing as a leadership vehicle for Independence. Having fought a pathetic general election campaign in which it prepared to accept that the very thought of Independence is a dirty little secret that should be hidden under the bed, the SNP appears in almost as great a crisis of confidence as the Tory Party. It needs now to come out and forcefully explain why Scotland would do much better as an independent country. The purpose of the SNP is not remunerative employment for Scotland’s political class. It is, however, beginning to look like it. UPDATE I am happy to say paperbacks of both Murder in Samarkand and The Catholic Orangemen of Togo are now back available on Amazon again. I am sorry I have not produced any serious articles for a few days. I have been catching up on a large number of tasks which were put back by the election. This includes a speaking engagement in Madrid I had needed to shift back and from which I returned this evening. Allied to this, when I look at the Tory/DUP alliance, words fail me. I have some more apologies to make. Technology has changed the publishing industry and authors have to do an awful lot of self-promotion, and even self-publishing, nowadays to try to make money from their books. The problem is that if you are a writer and not a publisher things can go wrong with this DIY approach. Hence the following apologies. 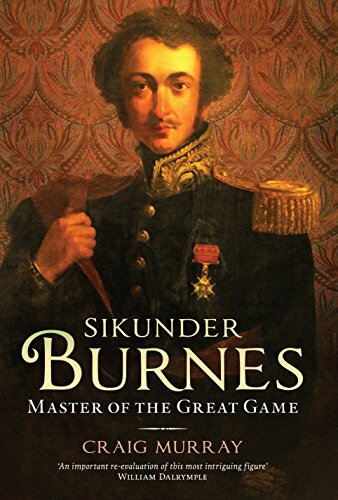 Sikunder Burnes. About half a dozen of the people who ordered signed copies through this website and paid with Paypal have not received their books, in a couple of cases for months. This is entirely due to a mistake by me and I will post them out tomorrow. The Catholic Orangemen of Togo. The new paperback edition of this through amazon self-publishing has too small a font size. I am not quite sure how this happened but it is quite hard to read. I am going to try to change it, which is quite complex. If anyone has bought one of the small font ones and is struggling, please contact me via the contact button at the top of the blog, and when a corrected version is available I will replace it for you at my expense. Murder in Samarkand. The new paperback version of this has been pulled by Amazon who have asked me for evidence that the rights have reverted to me. I do have a letter of reversion from the publisher which I have sent them, but I don’t know how long this will take to clear. Sorry about this general level of being rubbish! I am delighted to say that Murder in Samarkand is once again available in print. The cover design was submitted by a reader in response to my appeal – I have not yet heard if they wish their identity revealed. The publisher’s blurb is extremely flattering. This is perhaps unsurprising as I wrote it about myself! Craig Murray’s classic bestselling memoir lifts the lid on extraordinary rendition and the war on terror and reveals the darkness at the heart of the Blair administration. Craig Murray’s tale of his Ambassadorship to Tashkent became an instant bestseller and is now a classic in several genres. Murray gives an unparalleled view of the British Foreign Office and gives a detailed and fascinating account of the life and work of an Ambassador. But he also thoroughly exposes the lies behind the Blair administration’s “War on Terror” and the ruthlessness of its operations. This is vital primary source material for the “extraordinary rendition” policy. But it is still more than that. This is a most detailed travel story and insight into Central Asian society. It is a narration of quite horrifying individual events. And it is the warts and all story of one man’s crisis as everything he has believed in crumbles about him. Murray makes no attempt to hide his own imperfections, which adds to the emotional impact of this quite extraordinary book. Locked In Trailer 2017 from Nadira Murray on Vimeo. I hope you enjoy this brief trailer. Nadira’s debut short film, Locked In, will be having its first screenings shortly. It is a drama which examines the plight of asylum seekers placed in immigration detention. The film is based on true stories, including in part Nadira’s own experiences. She also interviewed not only former detainees, but also NGO’s, lawyers and policemen to research the story. It is filmed in a Category 2 prison, which astonishingly some of the detention centres are. I am proud of the film. Nadira has always supported my work, including on individual cases of asylum seekers. I have given evidence before immigration tribunals in many of these, and one in particular is the major inspiration of this work. My reaction to these cases is more legal and political, whereas Nadira’s is more personal and emotional, which is why the screenplay she has written is so powerful. 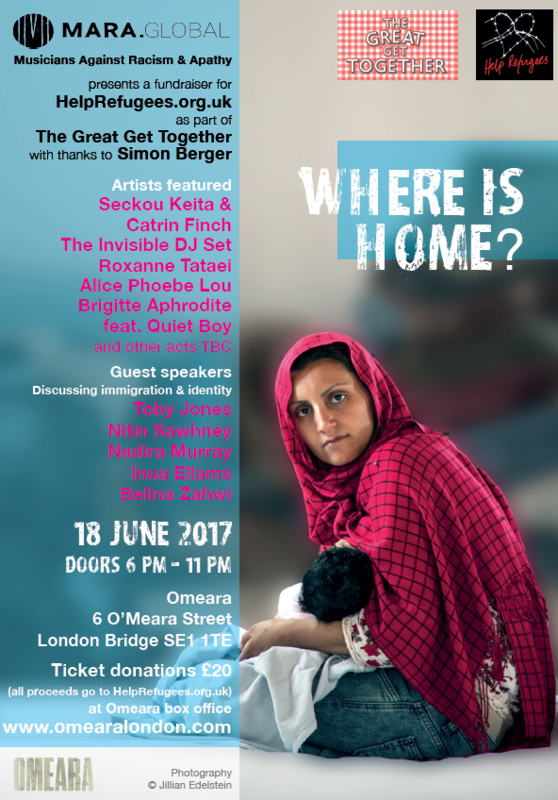 The film will be screened during an event in London for Help Refugees on 18 June at 6pm. 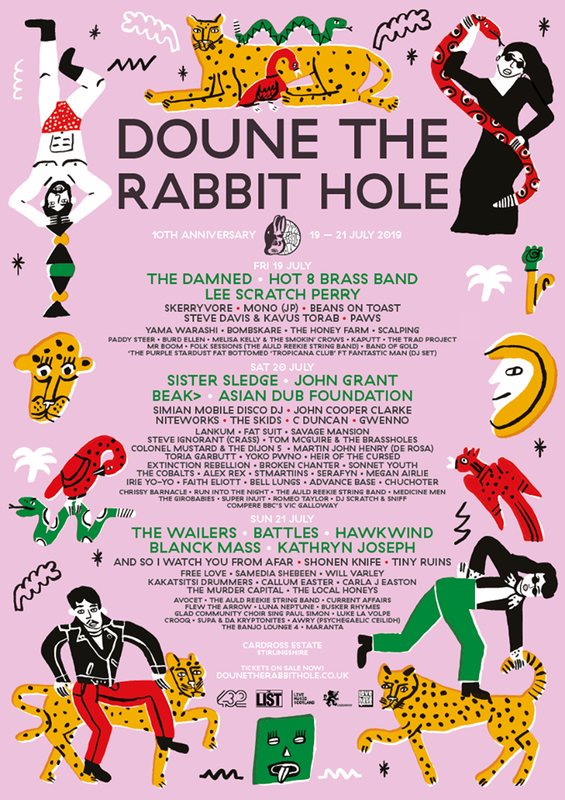 This is organised by Musicians Against Racism and Apathy and sounds quite fun. Nadira will be among the speakers at the event, which also features Roxanne Tataei and Nithin Sawhney, who contributed their musical talents to Locked In, plus many others. If you can’t make that, Locked In will also be screened at the Euro Shorts Film Festival on 15 June at 6pm at the Genesis Cinema, 93 Mile End Road, London. SECOND UPDATE The BBC has celebrated the lifting of election fair reporting restrictions by giving us a full morning of broadcasting that genuinely is 85% Tory. I find this astonishing. Following the Tory commentariat conversation that opened the show (see below), Andrew Neil has now done long individual interviews with three Tory MPs in a row – the Chair of the 1922 Committee, Anna Soubry and the smarmy Dominic Raab. The BBC is institutionally incapable of reacting to the shift in the political spectrum revealed by the last election. Astonishingly on Marr the papers are being reviewed by Toby Young (far right), George Osborne (right) and Polly Toynbee (Blairite right ). The old politico/commentariat bubble is entirely intact as far as the BBC is concerned. We are going to have Michael Fallon in a minute. Finally, Jeremy Corbyn will be invited on. He is the one person who articulates what half the country believes, and whose existence the BBC cannot entirely ignore. But the straining and stressing as the BBC try to heave the Overton window back into place is palpable. Wow the BBC is really going for broke now with The Daily Politics and a review of events between “independent” commentators Andrew Neil (Tory) Julia Hartley Brewer (Tory) Tom Newton Dunn (Tory, Political Editor of Murdoch’s Sun) and Steve Richards (Blairite). Followed by an interview with a member of the Tory 1922 Committee. Followed by another Tory MP! The Guardian/Observer on the other hand might be struggling to come up with some sort of readjustment towards the views of its readership and away from the worst of the truly obnoxious overpaid right-wingers who dominate the paper. They are, in their Sunday guise of the Observer, carrying another barking mad article from Nick Cohen attacking Jeremy Corbyn. Cohen of course to this day maintains the Iraq War was a good thing and is horrified anybody should prosper who does not agree with him. But, given the extraordinary amounts of money they pay him for these witterings, they are peculiarly hiding it. Their star columnist’s new column today appears nowhere at all on their massive website front page. It did fleetingly, but has been well and truly buried. (I do realise you can’t read that. I just posted it to show I had looked through the entire thing). Eight years ago we had a massive demonstration in London of 200,000 people against the Israeli massacre of Palestinians in Gaza. I was particularly proud of my speech that day. But I am bound to note that the friends I was speaking with have been rather more successful than me in going on to change history. I don’t think anybody had watched these videos for seven years, but nice to look back. Rather amusing to note that the Craig Murray one had 2,049 views on YouTube while the Jeremy Corbyn one got 1,325 views! The world has somewhat changed! I have a confession to make. I kept my opinion of the SNP’s election campaign from you in order not to hurt the SNP during the campaign. 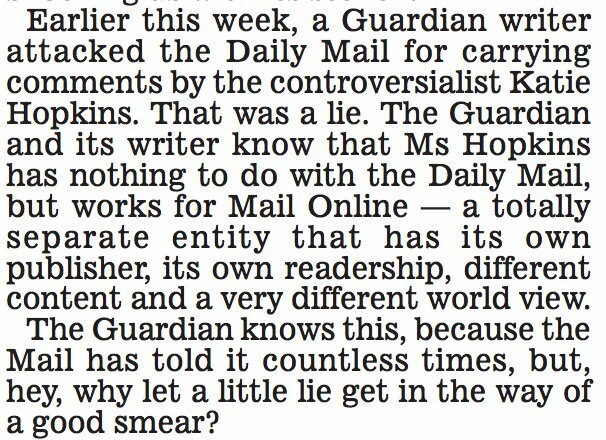 I did however express it deep in James Kelly’s comments pages 12 days ago. Yes, the SNP won the election in Scotland. 35 out of 59 seats is a clear majority. The Tories only have 13 Scottish seats. That is just 21% so there is no sense in which the Tories “won” Scotland. Do not believe the media lies. But it remains the case that Theresa May is only able to cling on to No.10 because of the gains the Tories made from the SNP in Scotland. That is shameful and must be squarely faced. There is a vital truth here. Support for Independence itself remains at almost exactly the same level as it was in 2015 when the SNP swept to 56 seats. Many opinion polls measured support for Independence during the campaign and their range was 42% to 54% for Independence. So the SNP fall in MPs was not because of a drop in support for Independence. It was rather because the SNP failed the cause of Independence. Specifically they failed even to seek to present a radical and transformative view of what an Independent Scotland might look like. In 2015 the SNP vote almost exactly equated to the level of support for Independence. Now the SNP vote underperforms Independence support by 10%. This is not unfortunate. It is an entirely foreseeable consequence of a deliberate and wrong decision by the SNP leadership. They never once, at any time, made the case for Independence during the election campaign. Rather they fell straight into the trap laid by the unionists, of defending their government record in Holyrood. Scotland’s lack of Independence leads to a constant drain on our resources in a massively London-centric economy. Our money is sucked down there and much of our best talent leaves to work in UK-HQ corporations and ministries based there. That is a different argument to the equally vital one that we are tied in to a neo-liberal austerity programme that prevents us from growing our economy, and to a number of completely inappropriate policies including on immigration. Bound hand and foot by these constraints, the SNP has struggled at Holyrood – with very great skill – to manage matters as best they can to mitigate the Tory damage in Scotland, within the limited resources they are allowed. But this is utterly different to the situation if Scotland were an independent country and Holyrood a real parliament, and not what it actually is – a glorified regional council. In this situation, where everything is stacked to ensure its failure, the SNP strategists boneheadedly accepted to fight on the enemy’s chosen ground. What the SNP offered in this election in no way stirred the blood, not even of their own supporters. The SNP did not mention the struggle for national freedom or the kind of country we will build if Independent. It rather attempts to win the support of the Scottish people by offering competent managerialism. “Don’t be scared, we are not nasty nationalists, we are harmless technocrats” is the line. I hope the hard lesson of this election has been learned. You cannot manage Scotland with competence within the madhouse which is the Tory UK. You are on a hiding to nothing explaining that you can. Yes it is indeed true that the media unfairly and deliberately, in every interview with Nicola Sturgeon, honed in on devolved matters irrelevant to a Westminster election. That was wrong of the media. But Sturgeon happily wandered around in their labyrinthine trap for long periods, providing lengthy and rational ripostes on educational attainment for 7 year olds. Above all, she emphasised it was not her who wanted to talk about a second referendum, it was that Ruth Davidson. Sturgeon hotly denied she wanted to talk about Independence at all, saying only the Unionists kept bringing it up. It was a clever debating society point, but by refusing to make the case for Independence – and by appearing to concede it was a difficult area for her – Sturgeon was damaging the Independence cause and ultimately the SNP. What Nicola Sturgeon should have done is the precise opposite of what she did do. She should have taken every precious moment of TV time to outline the positive case for Independence, to declare her determination to achieve Independence, and to achieve it within the next Westminster parliament. She should have slammed Trident and slammed the British kowtowing to Saudi Arabia and to Donald Trump, and stated that Scotland should be an independent country with its own foreign and defence policy. She should have slammed austerity and Tory cuts and said that Scotland needs to be an independent country with its own economic policy that will look after its struggling, its disabled and its aged. She should have slammed Brexit and stated it is going to destroy the Scottish economy, and that Scotland needs to be an independent country within the EU. Sturgeon did refer to all of these policy areas. But her entire dialogue was framed around how they should be tackled within a devolution settlement. Independence was almost entirely avoided as something that might scare the horses. Much of The SNP campaign echoed the Tories in spin doctored meaninglessness. The pictures of activists holding up placards saying “Stronger for Scotland”, and repetition of the constant mantra about strengthening Nicola Sturgeon’s hand in talks, was just a mirror image of Theresa May. I find it worrying in principle and it was as electorally counterproductive as I knew it would be. Nicola Sturgeon adopted a deliberate policy of being all things to all men. She ran a campaign designed to say the SNP can attract the votes of unionists and the votes of Brexiteers. She attempted a “mother of the whole country” routine. Putting out the message that anybody can vote SNP because it doesn’t believe in anything much, it is just competent. This was incredibly stupid. It did not work and it did not deserve to. Anyone can see that there is a worldwide mood of insurgency against the neo-liberal establishment. The fantastic Yes street campaign was absolutely a part of that. Corbyn has grabbed that mood and ran an inspired insurgency campaign. A great many Independence supporters – including some of my family – voted Labour yesterday to support the Corbyn insurgency, after being active members of the Yes insurgency. They still support Independence. But in an age of insurgency politics, for the SNP to choose to run its entire election campaign on the basis of being a safe managerial political establishment for Scotland, was such a crass decision that it beggars belief. Many radicals went to Labour, while many of those who do like a comfortable political establishment decided they would rather have the real Tory version. I greatly fear that the SNP will now compound the error by backing away from the second referendum and pushing Independence even further to the back-burner. The SNP needs to do the opposite. It needs to rediscover the Spirit of Independence and reconnect to the Scottish people. And it needs to sack the great raft of highly paid, besuited, professional spin doctors and political advisers I see going in and out of SNP HQ every day (I live next door). They look indistinguishable from their New Labour and Tory cousins and are a class of people the Independence movement really does not need. One little anecdote. I have a large balcony overlooking Dynamic Earth, in a very prominent position and busy area. I wandered in to SNP HQ to see if they could give me a really big banner or poster to put up. The place was absolutely crammed with besuited spin doctors talking earnestly to each other and very much looking down their noses at me, resenting my intrusion into their space. They had hundreds of thousands of pounds worth of spin doctors, but no poster bigger than a tiny A3. That says it all for me. I voted for Tommy Sheppard. I did so with pride and I am delighted he is back in. After a period of semi-detachment from the SNP, I am going to be more active inside it to argue for a much more radical and definite attachment to Independence upfront and at all times. And to make sure that the SNP is a quick route to Independence, and not just a quick route to a political class career path. In practice, building any other vehicle than the SNP to carry forward the Yes movement would be almost impossible. As an institution in itself, the SNP is a very successful institution. There is no denying it. But as a vehicle for actual Independence, it is stationary with the handbrake on, and as a vehicle for radicalism its battery is flat and it has become positively inert. But let’s not abandon it, let’s try a push start. New media beat old media, the insurgents routed the establishment, the young insisted the old also consider their opinion, hope beat fear, altruism wrestled with selfishness, and I would personally go so far as to say good stood up to evil. The result against the combined power of state and media was fantastic. We have nonetheless still got Theresa May as PM propped up by climate change denying, misogynist, creationist, homophobe, anti-abortion terrorist-linked knuckle-draggers from the DUP. But cheer up, it won’t last long. Tomorrow I will publish an article on the SNP. It is on the stocks, but I want to look at it again when my anger dies down. But for now, let me think about the Blairites. The Blairites hate Labour’s good result, even though it saved their own jobs. They had put so much work into preparing the ground for their next coup attempt against Corbyn. There was a fascinating campaign to demoralise Labour chances undertaken by Blairite MPs and the Blairite Westminster commentariat. 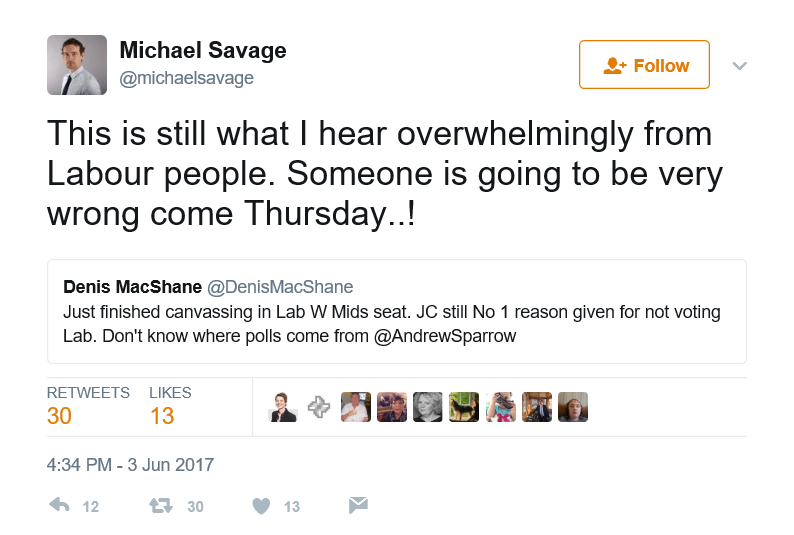 Here for example was Michael Savage, political editor of the Observer. His Guardian colleague Polly Toynbee was on the BBC on Thursday morning explaining coming defeat would be Corbyn’s fault, and her colleague Anne Perkins, the Guardian leader writer whose soul is but a shrivelled husk of right wing hate, wrote the most horrible diatribe in the Guardian on Tuesday advising “Corbyn supporters” not to hope. These Blairite journalists and the Blairite politicians all live in the same bubble where everybody hates Jeremy Corbyn, and nobody will vote for left wing policies. Labour Uncut, aka Corbyn Hate Central, had a wonderfully delusional piece by the ludicrous Atul Hatwal, who went and visited a lot of Blairites all over the place and published his firm conclusion that everybody hates Jeremy Corbyn. Just over two weeks ago I posted a projection of huge losses for Labour – over 90 seats – based on dozens of conversations with activists, candidates and officials who cumulatively had sight of tens of thousands of canvass returns. Since then, I’ve continued those conversations as Labour has apparently surged in the polls. In every seat, canvassers are encountering lifelong Labour supporters who still identify with the party but not Jeremy Corbyn. This group tends to have voted for Ed Miliband reluctantly and are now either sitting out this contest or ready to vote Tory for the first time to prevent a Corbyn premiership. These switchers represent a new generation of shy Tories, located deep inside Labour’s core vote. They are embarrassed at voting Tory, sufficiently so to deny their intent to friends, families and pollsters. Some of the older Labour officials and campaigners have reported familiar doorstep cadences from 1992 – “It’s in the eyes,” one said to me. In recent days, I have been speaking to Labour candidates, including those defending small majorities in marginal seats, as well as to activists. The picture emerging is bleaker than the polls would suggest and the mood is one of foreboding: candidates expect to lose scores of seats on Thursday. There’s a sense, too, that two campaigns have been conducted simultaneously: candidates with majorities under 10,000 are trying to hold back the Tory tide, while Corbyn is, as some perceive it, already contesting the next leadership contest – one in which, at present, he is the sole candidate. What a stupid arse Cowley is. Do read the whole thing, he is hilariously wrong on all counts. Anybody can make a mistake. But Cowley is making a dishonest mistake. Blinded by Blairite affections, consumed by a passionate rejection of the idea that socialism might be popular, the Labour candidates he has spoken too share his Blairite outlook and they were all engaged in a circle of delusion. A circle which includes Laura Kuenssberg, who at the start of the BBC election night coverage assured us that senior Labour figures she knew had been telling her from the doorstep that the anti-Corbyn reaction would belie the opinion polls. This was all of course intended to be self-fulfilling prophecy. The Blairites and their media fellow travellers were engaged in a deliberate attempt to reinforce the Corbyn bogeyman narrative to the public in the last few days before the election. They were deliberately trying to make the party they ostensibly supported lose, so they could take back control of it again. The Manchester Evening News claimed “Labour insiders” as the course of its nonsense story that Labour stood to lose seats in Manchester owing to its stance on anti-Semitism. The BBC were quick today to suggest that Corbyn should use his success to broaden his cabinet and his policy platform, to bring the Blairites back onboard. They meant that if he squeezes himself inside the Overton window he may win power eventually. I remain confident Corbyn will ignore any such blandishments and go on to further develop a radical alternative to neo-liberal policies. 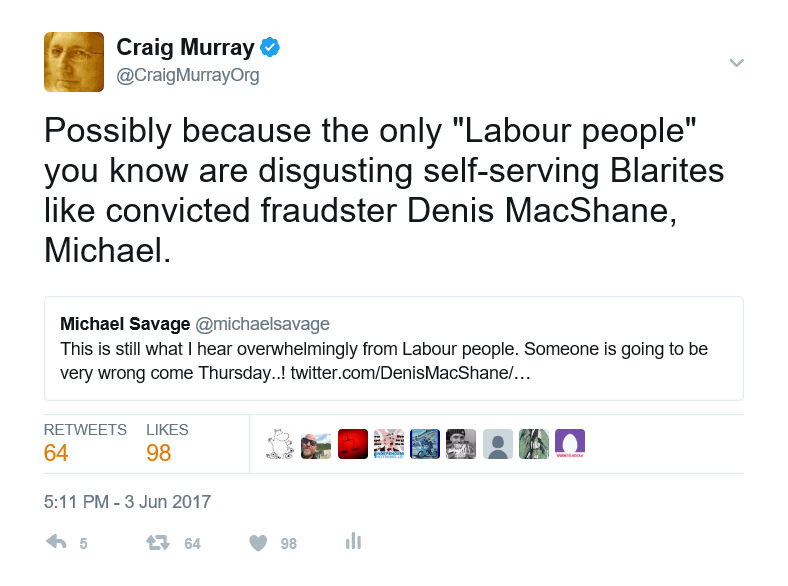 The Blairites need to be stamped out, not encouraged. The parliamentary boundary review will now be a top legislative priority for May as it is reckoned to be a net advantage to the Tories of 18 seats at the next election, which may be soon. That will be an interesting negotiation with the DUP as it will cost them a seat. But the boundary review provides the perfect opportunity for Corbyn to force through compulsory re-submission of candidates to members. Jeremy also needs to concentrate on seizing the institutional control of the party that he lacks to date. His enhanced prestige at the moment needs to be ruthlessly exploited. I rather hope we will hear a good deal more bleating by the Blairites in the near future, as they are hurtled towards political oblivion. The official Conservative party spokesman, Laura Kuenssberg, has just announced that Theresa May will remain as Prime Minister, supported by the Democratic Unionist Party in Northern Ireland. Now the DUP are probably the most unpleasant bunch of individuals in organised politics in the UK. The “No Surrender” arch protestant bigot party founded by Ian Paisley. At this moment the most likely outcome is an alliance between the Tory Brexit Bigots and the Protestant Brexit Bigots of the DUP. They might be able to scrape a bare majority between them. The consequence of this is going to be the most crazed sectarians in the UK driving a hard Brexit, that will result in a very real fenced border between Northern Ireland and the Republic. The consequences of that could be appalling. May still churning out nonsense by rote – said “stability” seven times in three minute speech.